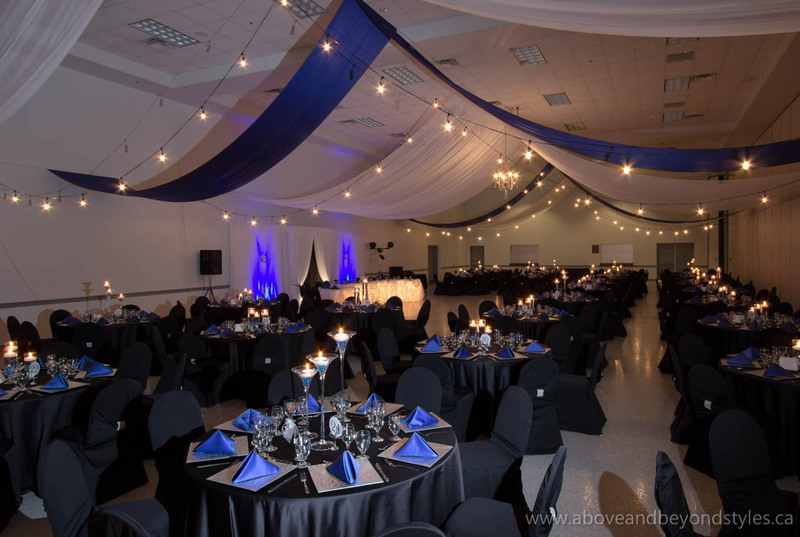 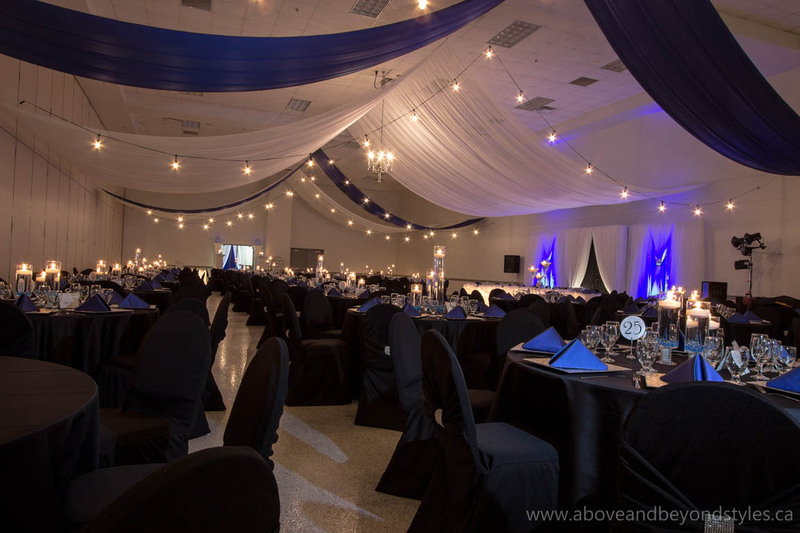 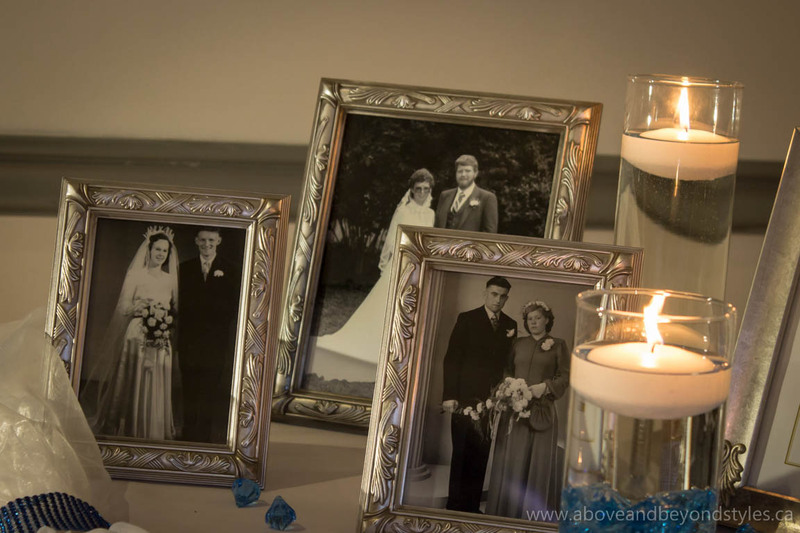 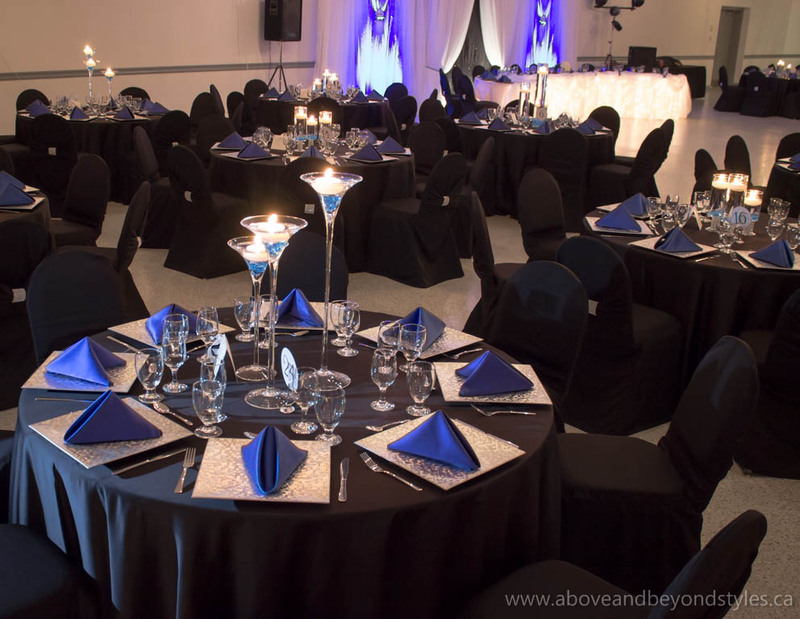 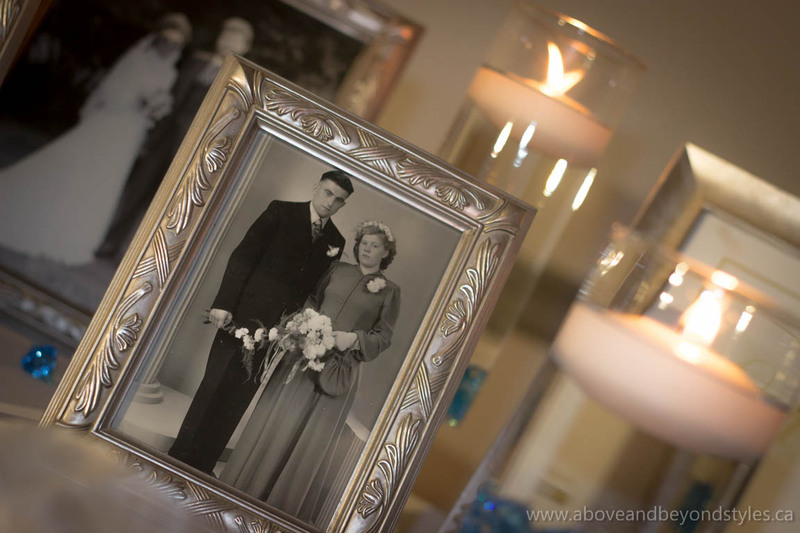 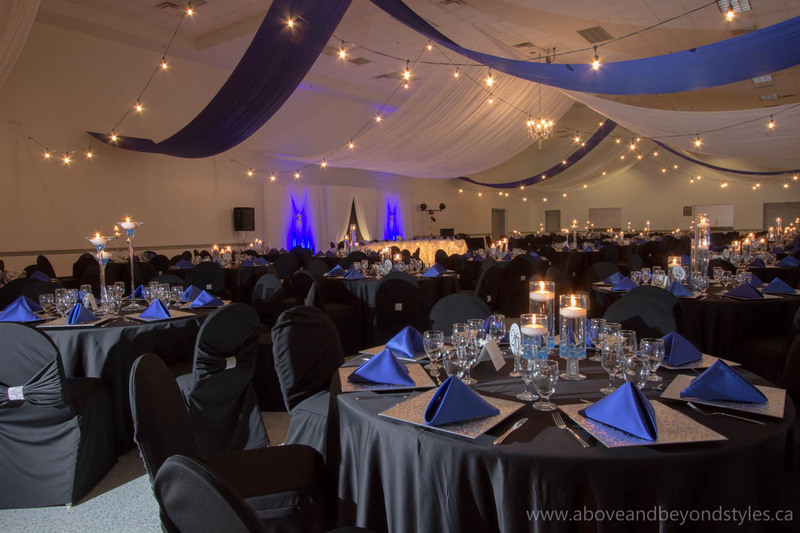 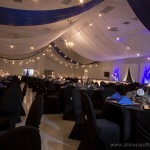 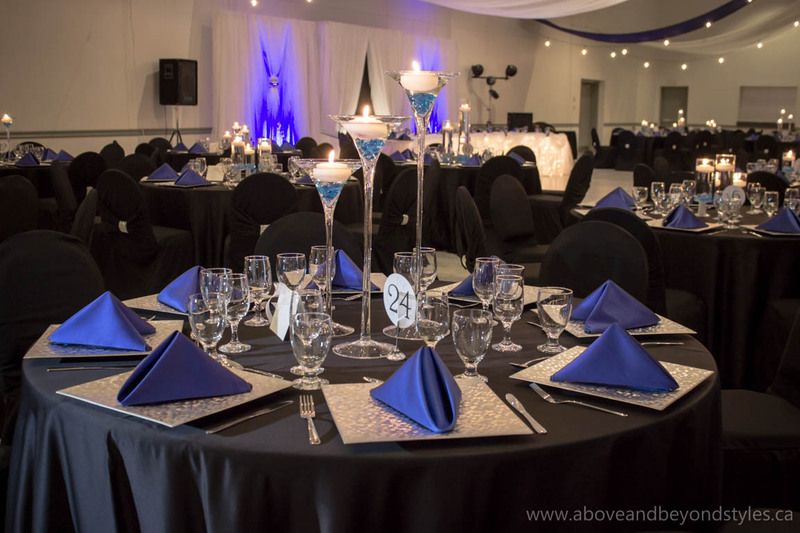 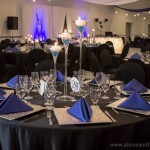 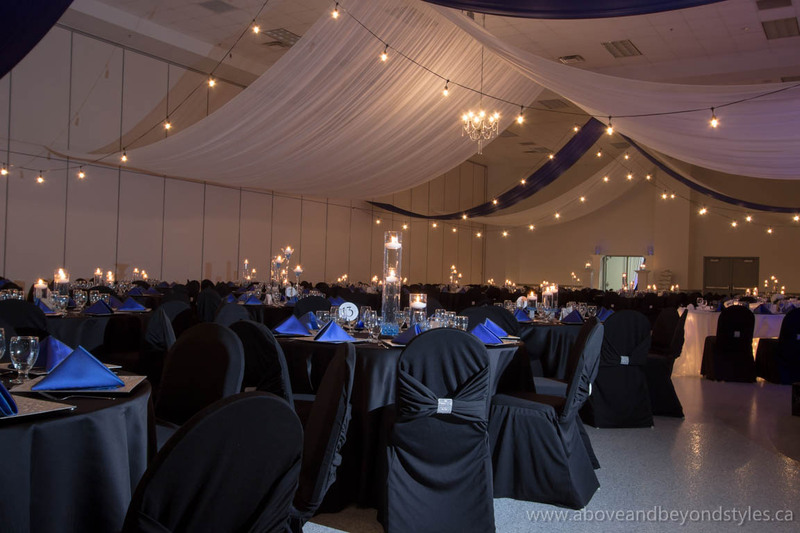 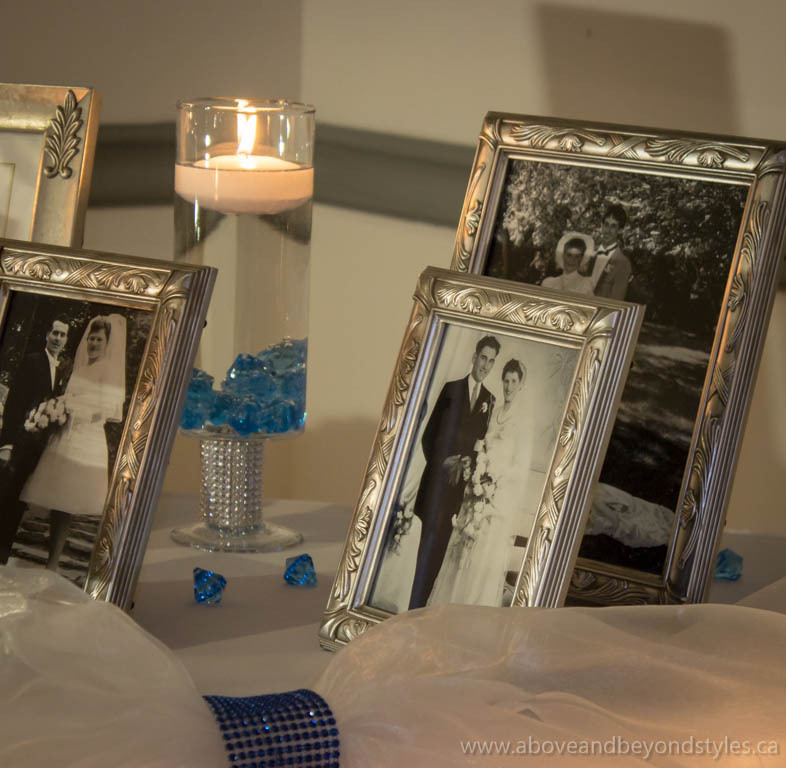 This couple had us transform the Stratford Rotary Complex for their big day, and we also had the opportunity to co-ordinate the event the day-of. 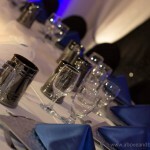 We were honoured to hear the positive feedback from guests who were astonished with the transformation of the hall. 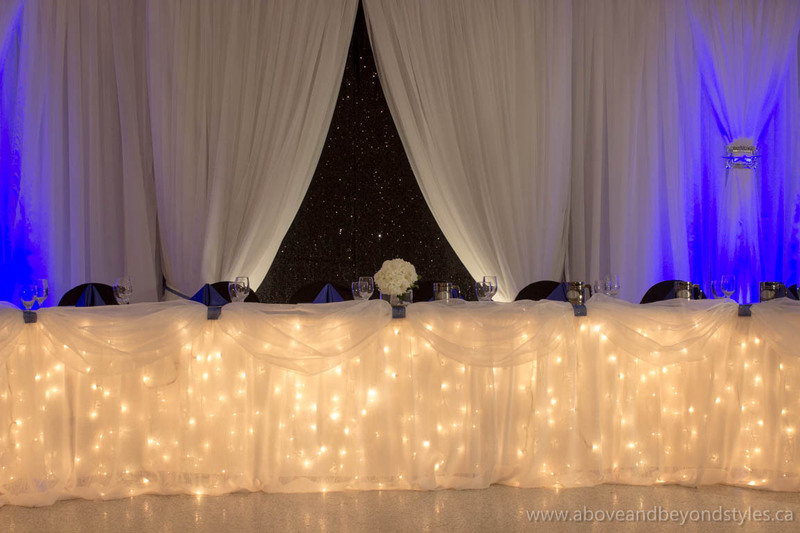 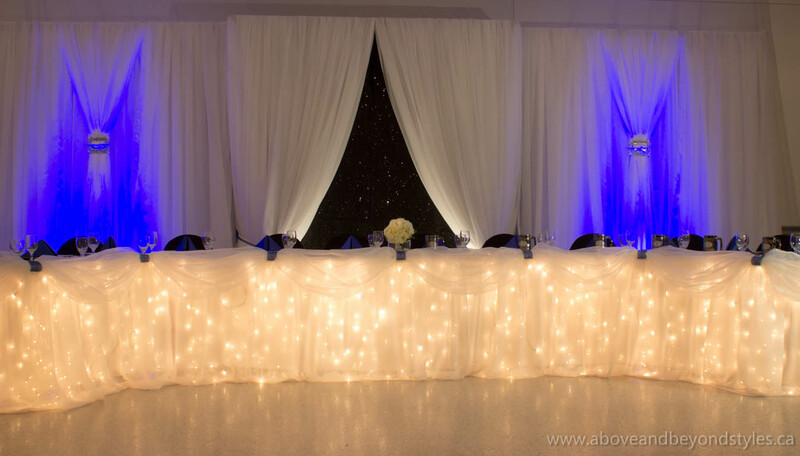 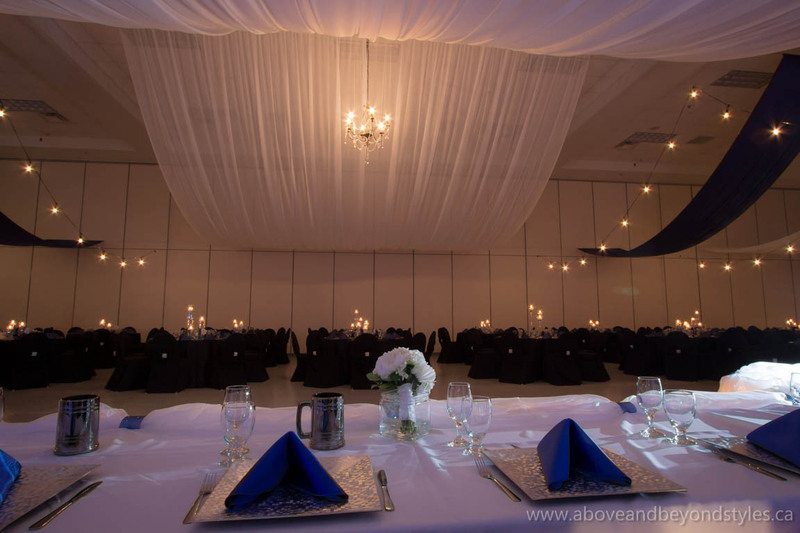 The ceiling dressing is a huge hit, featuring industrial café lighting, a crystal chandelier, and beautiful blue and white sheer draping. 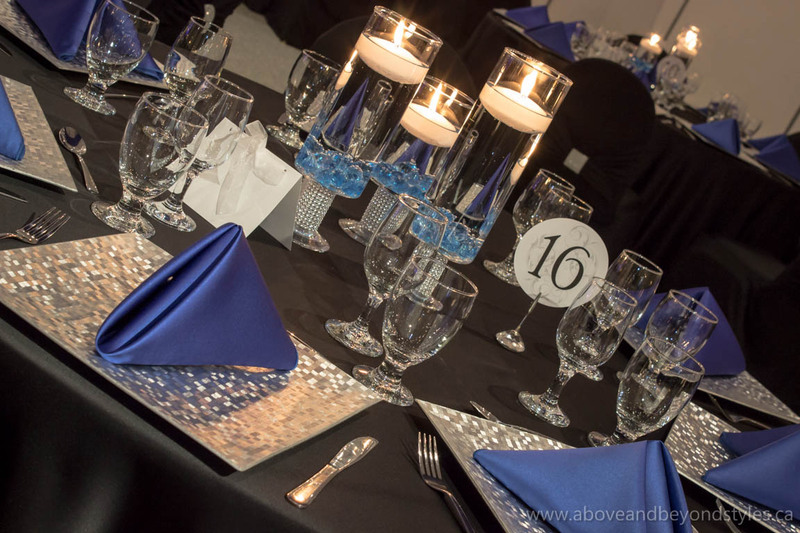 The candle-lit tables add a warm tone of ambience for the evening, even with the cold weather outside. 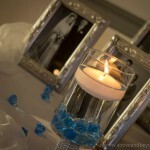 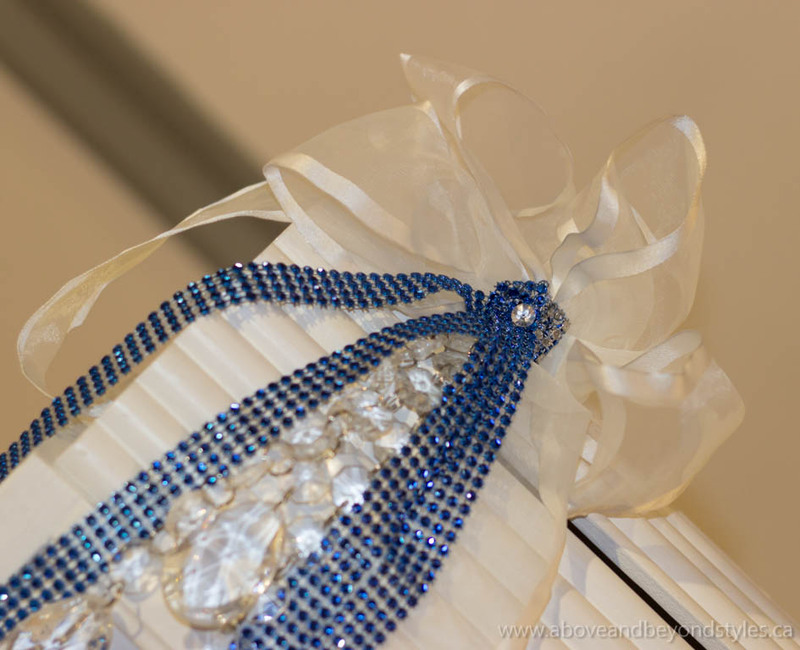 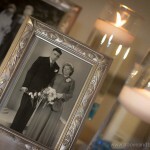 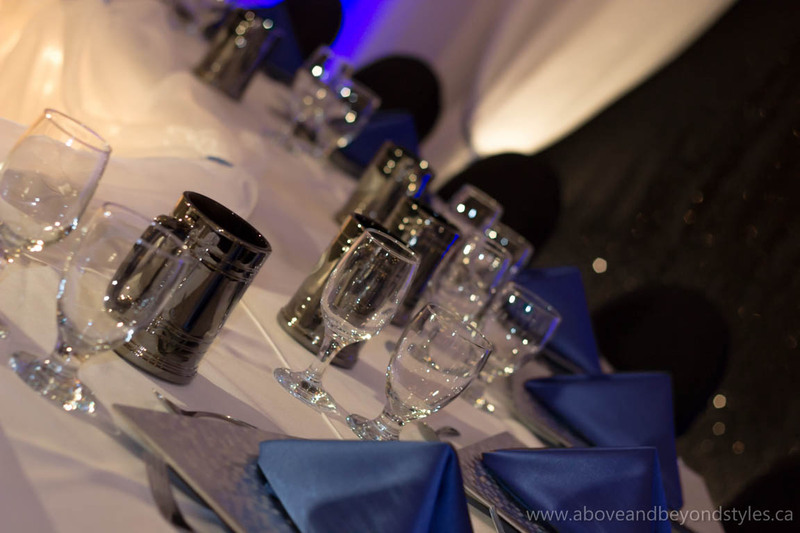 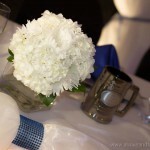 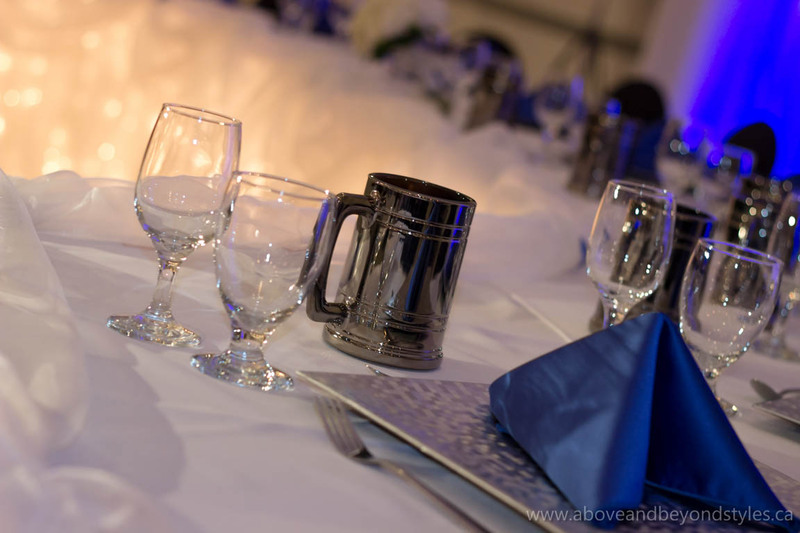 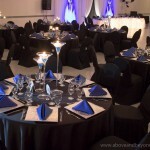 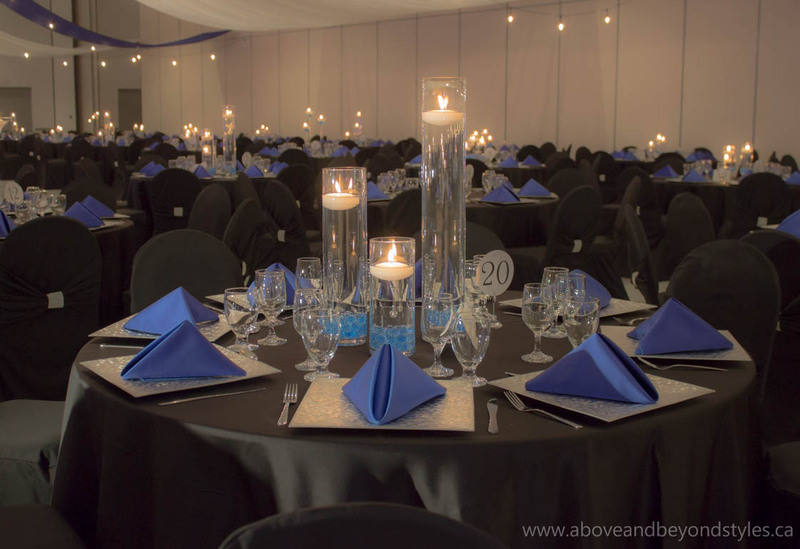 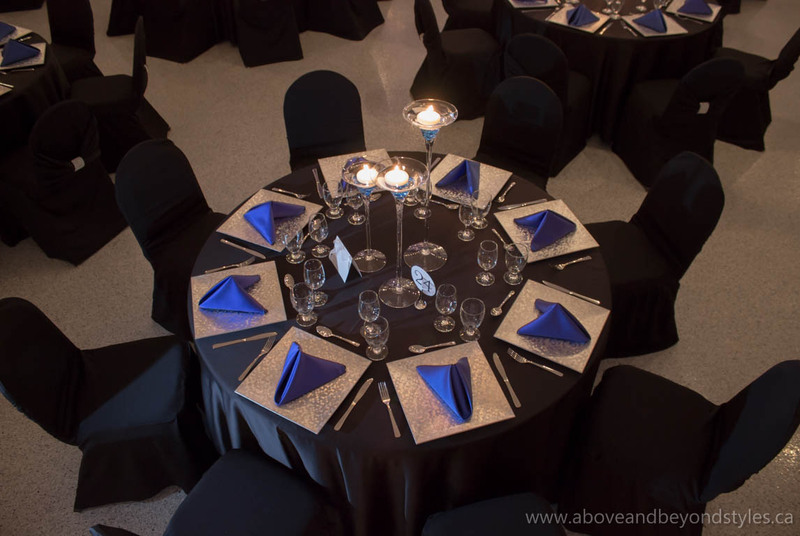 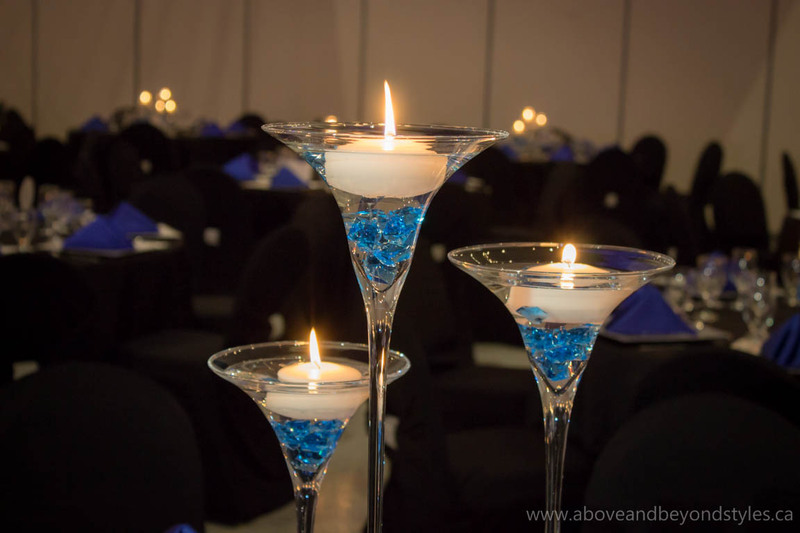 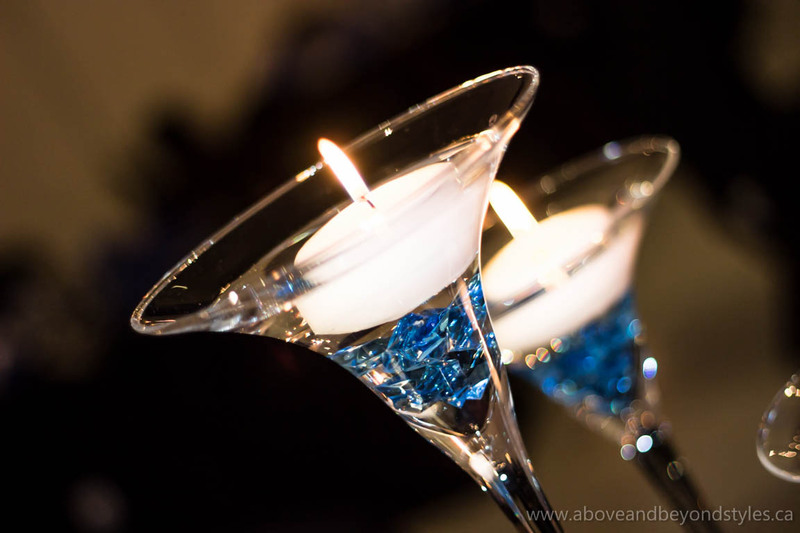 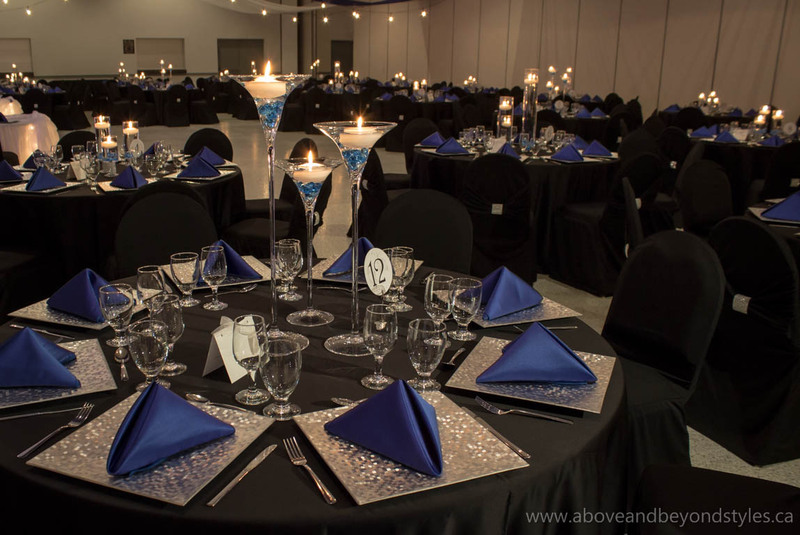 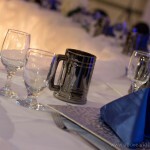 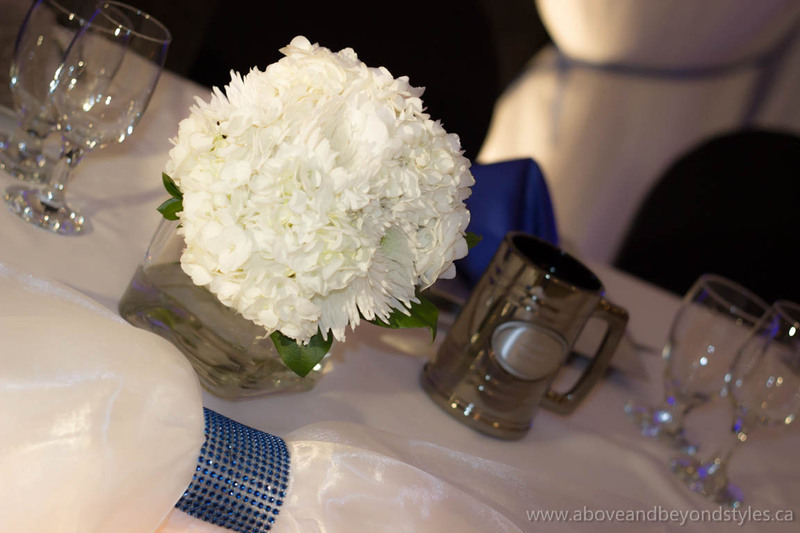 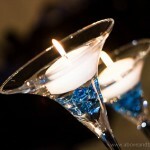 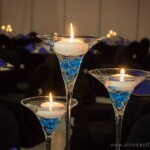 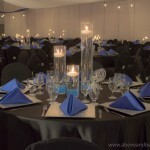 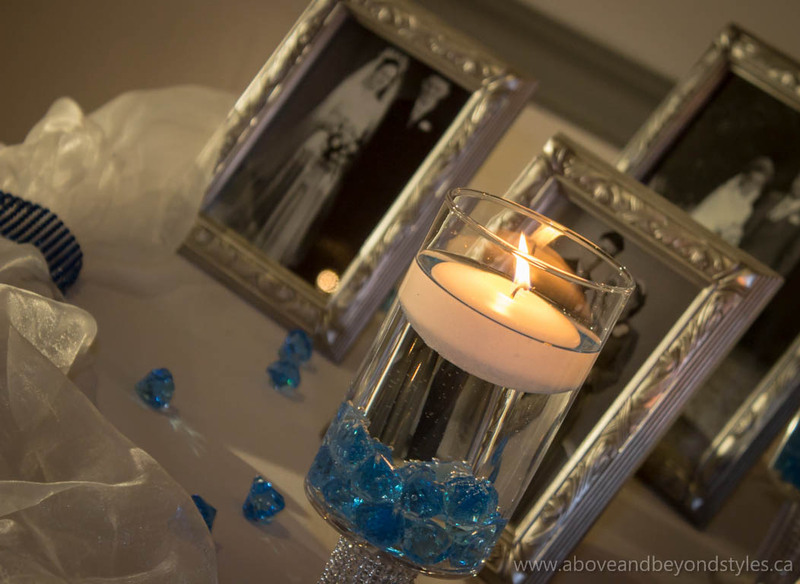 The centerpieces are made up of three varying sizes of cylinders with coloured beads and floating candles. 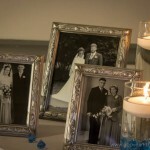 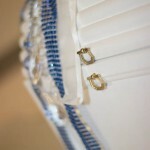 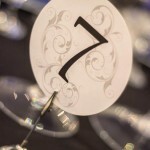 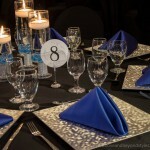 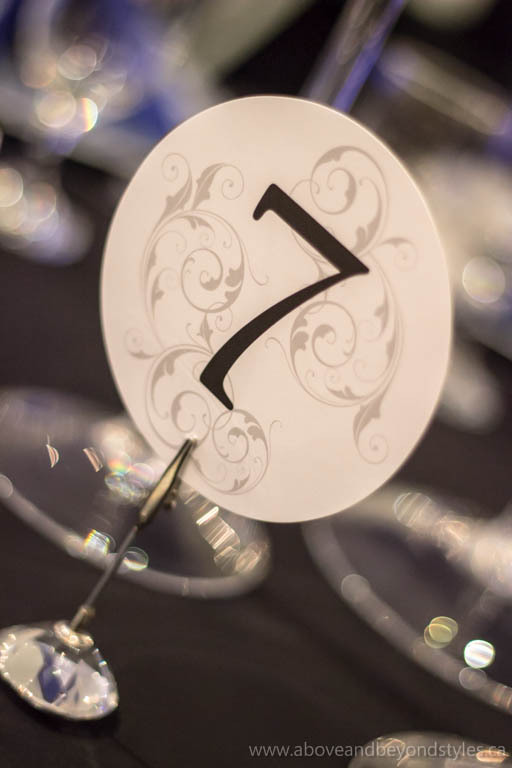 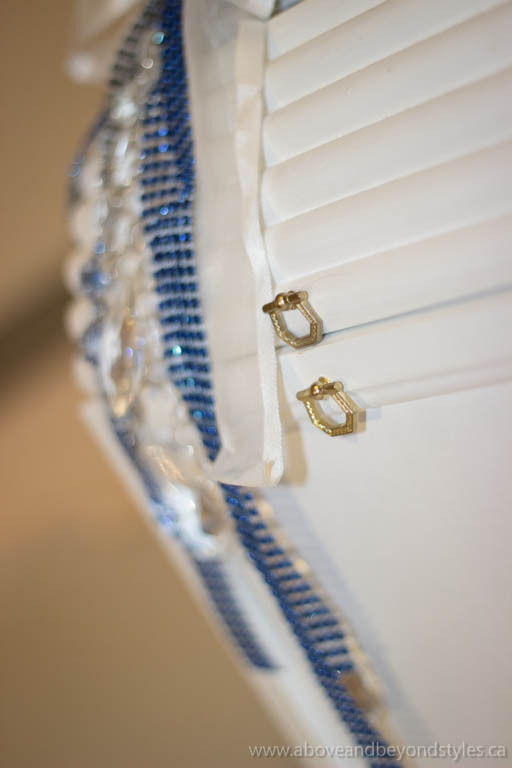 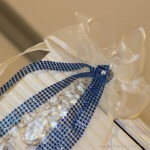 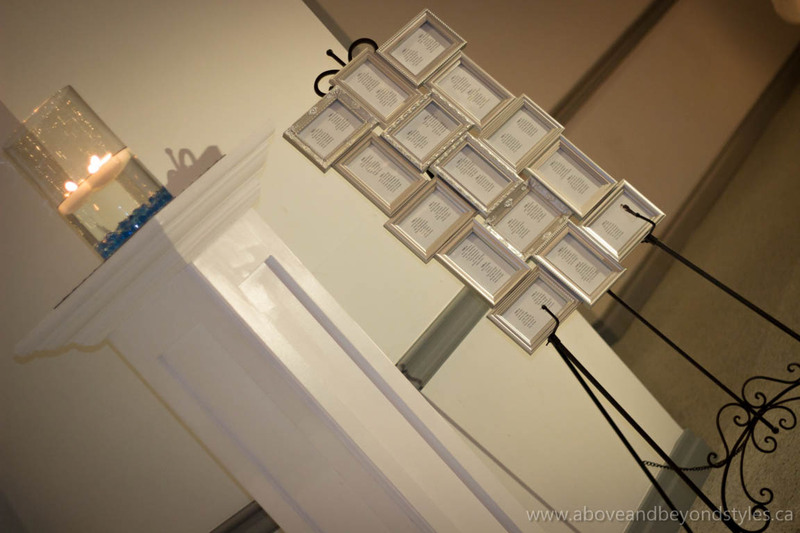 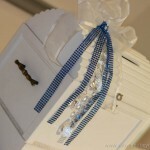 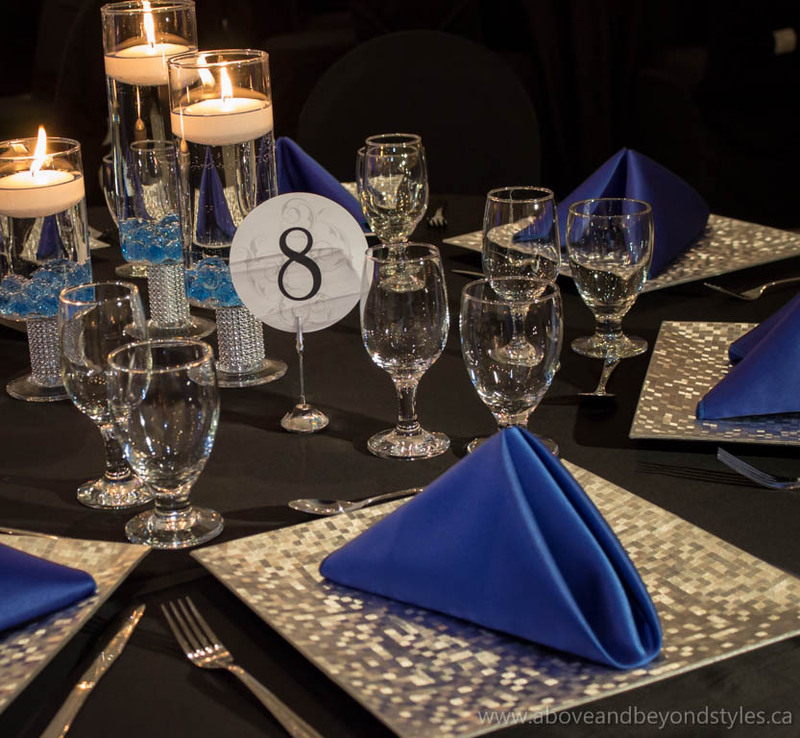 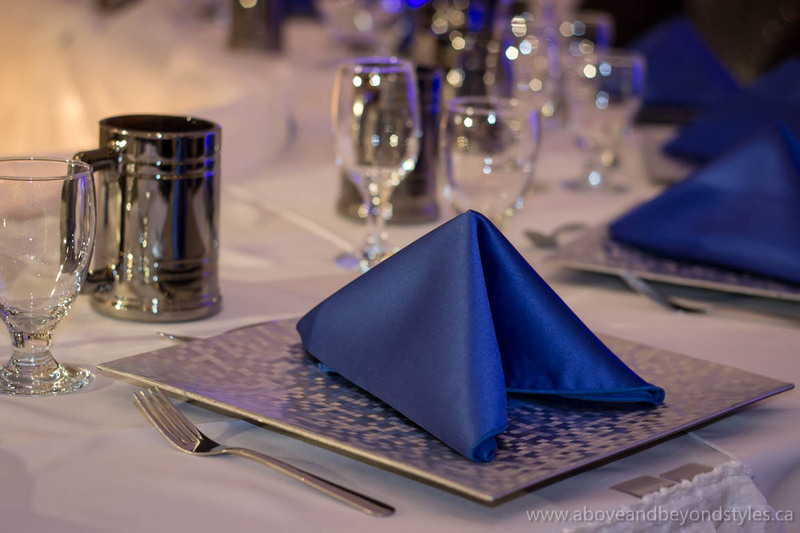 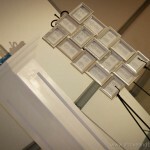 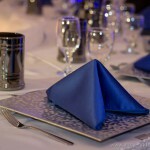 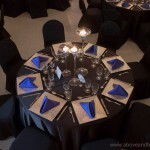 The silver charger plates add class to the guest tables as well. 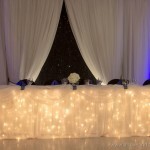 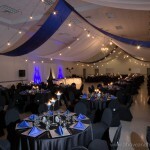 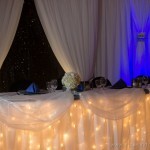 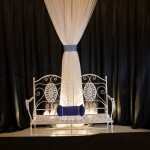 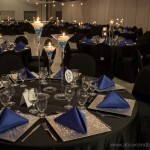 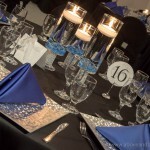 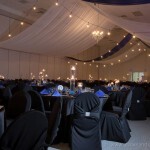 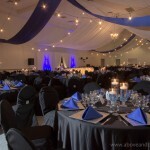 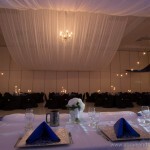 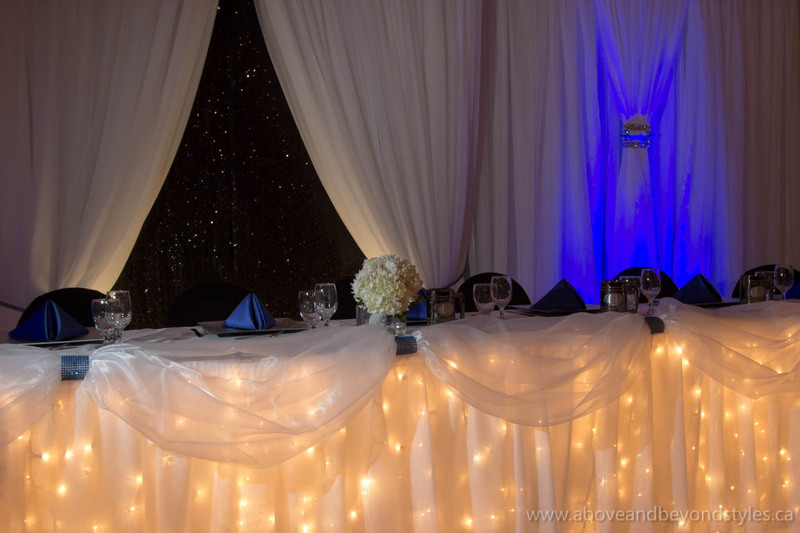 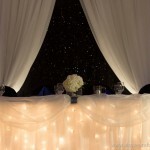 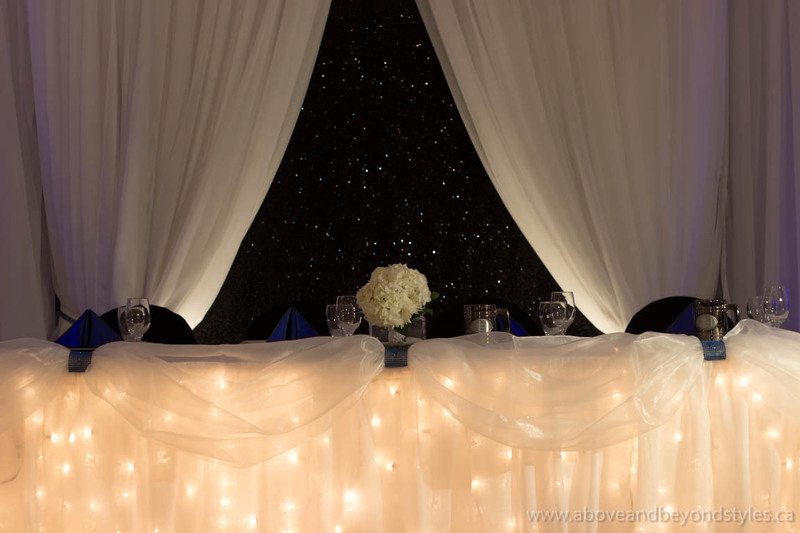 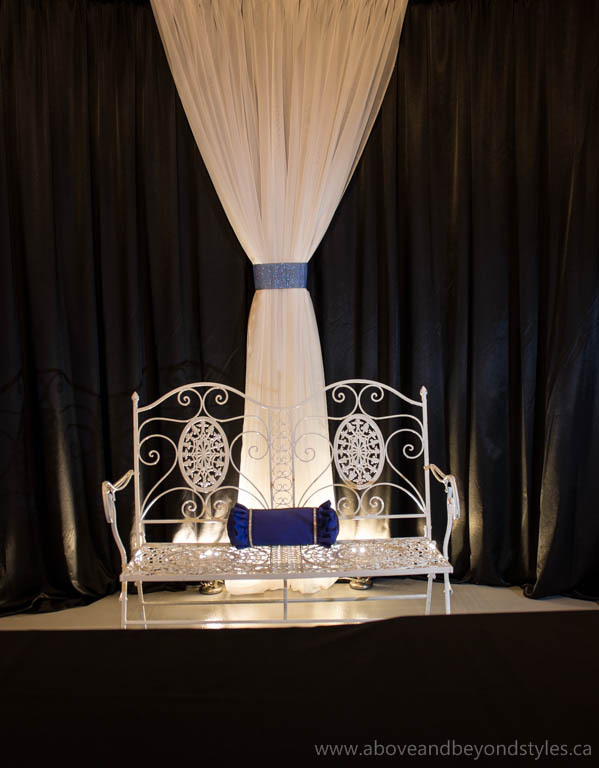 Black chair covers pull the room together with sparkly pro wraps that add a touch of bling! 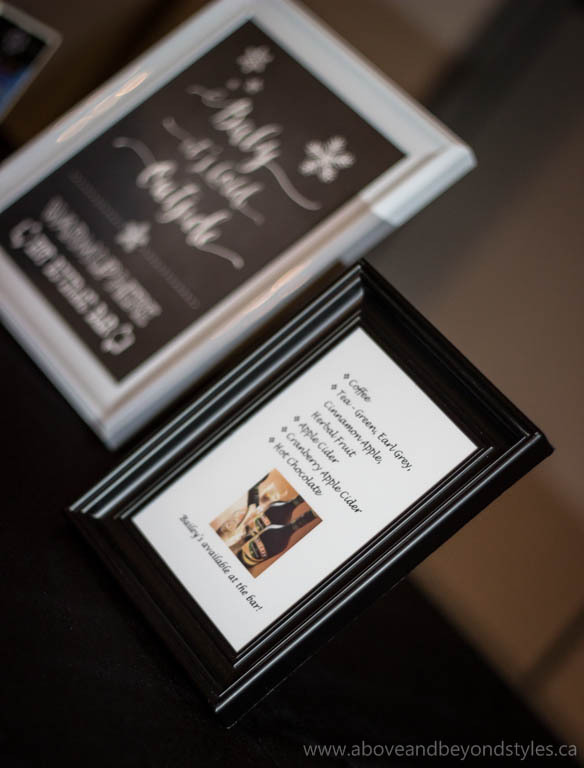 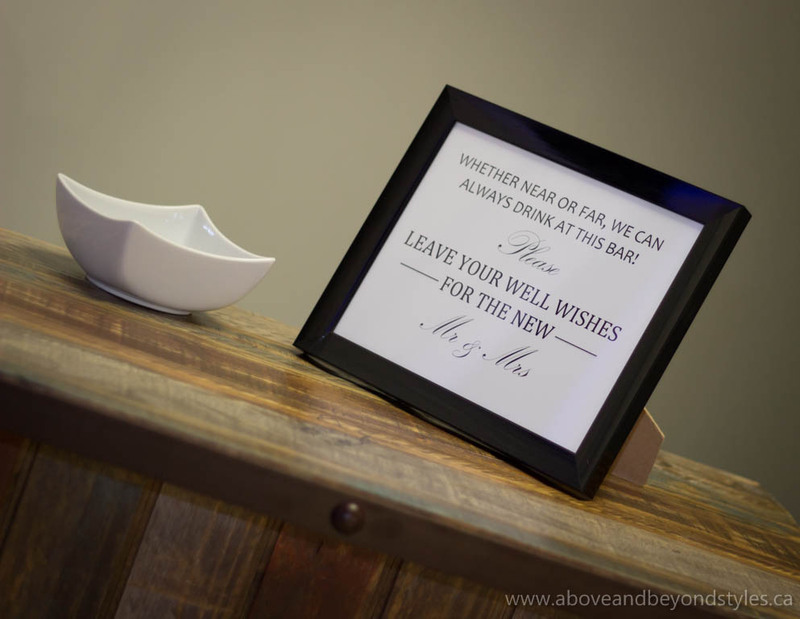 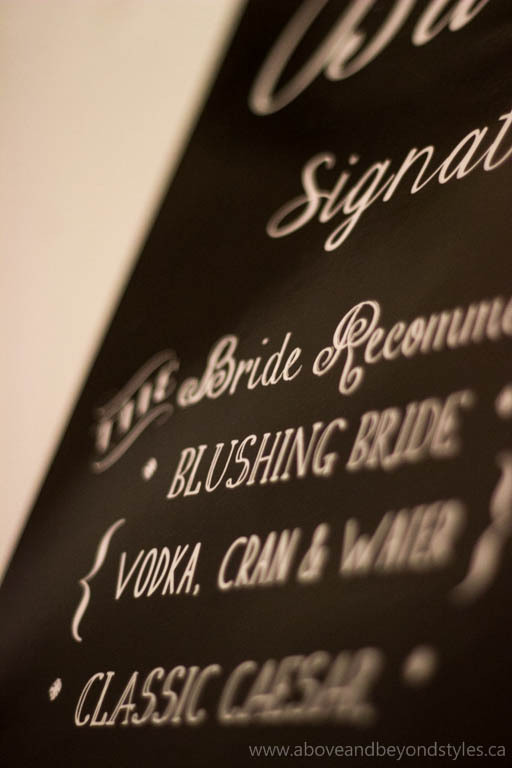 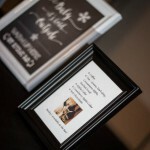 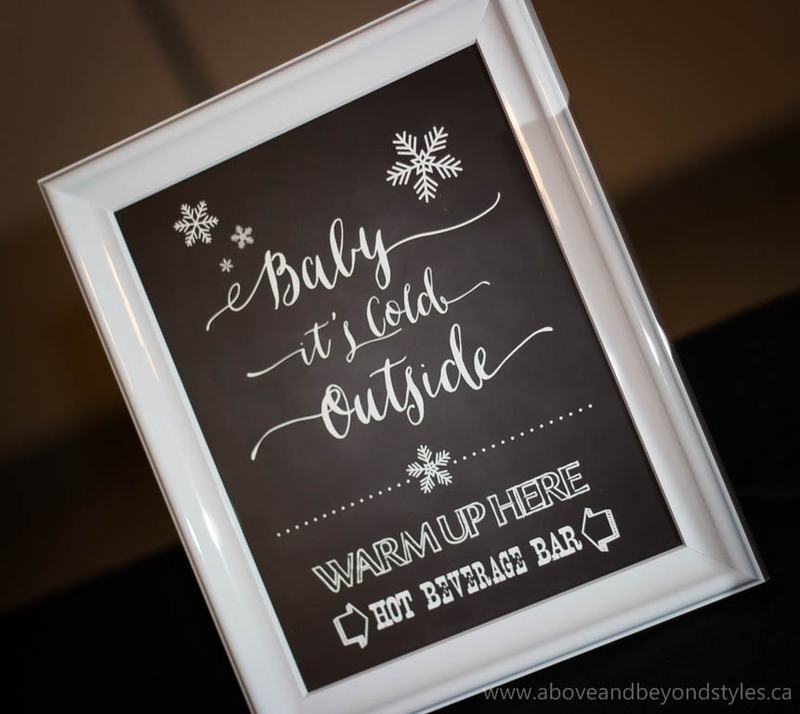 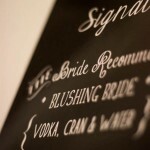 We love all the little touches the bride included, from hand-written chalkboards to a coffee and cider station for her guests. 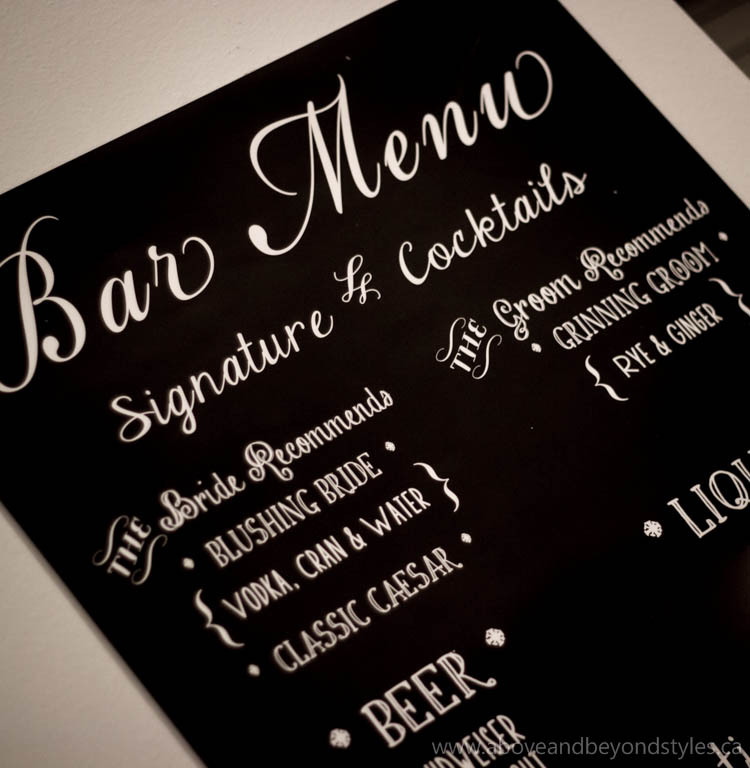 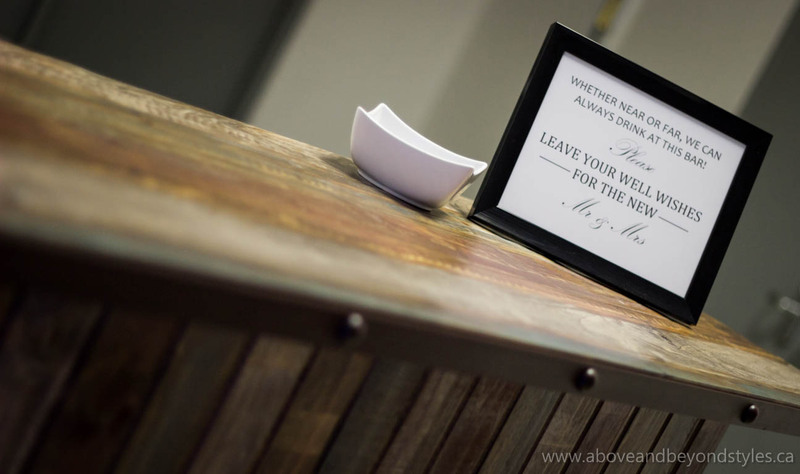 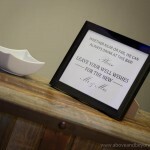 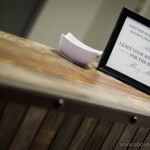 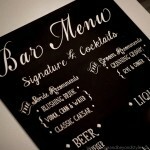 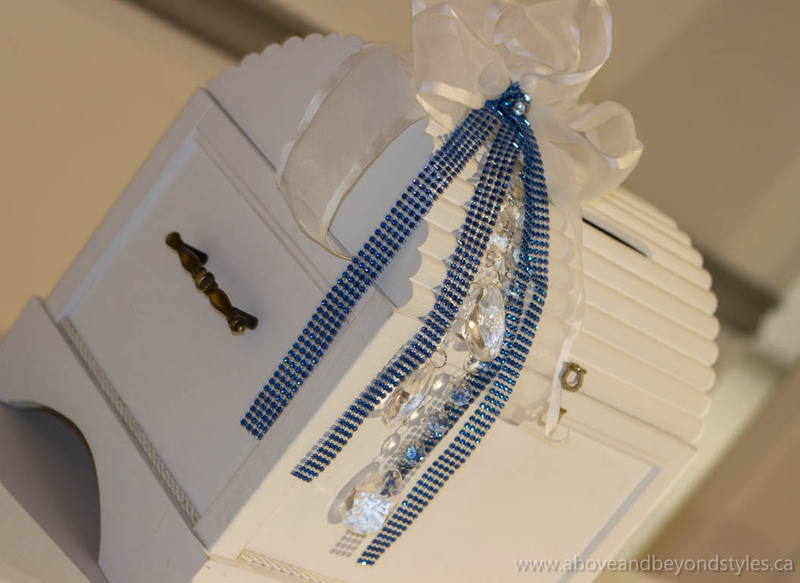 The couple also has an incredible “guest book” – a beautiful bar that they purchased for their home, to be signed by all their guests.